HIKARU. (ex. 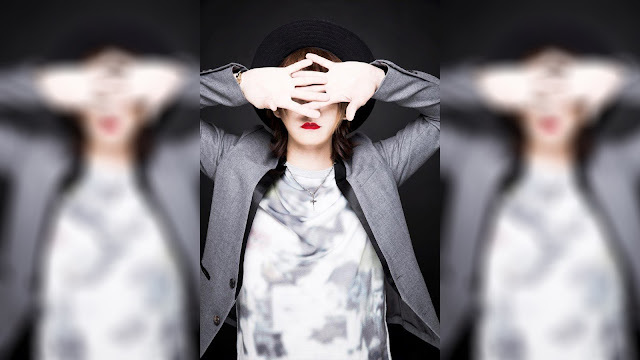 Kameleo) Goes Solo | VKH Press – J-Rock & Visual Kei Coverage Worldwide! Two days ago, Kameleo's former vocalist HIKARU. announced his solo project L.A.LEMECCA. February 13th is also the 1 year anniversary of Kameleo announcing their disbandment, but this is no coincidence. HIKARU. did this on purpose. With the awareness that his fans view this day in grief as "the day Kameleo announced disbanding", HIKARU. thought maybe he could make up for it by announcing his solo project the same day to cheer them up. I think, to the fans, February 13th is a sad day to remember because Kameleo announced disbanding. I decided to make my announcement on this day, hoping that maybe this can make that day a little happier for them. – HIKARU. At the end of his live performance on February 11th, he surprised everyone with the distribution of his self-produced CD-R to commemorate the start of L.A.MECCA. The CD held their first recorded song "SLUMP", which is a powerful pop-rock song with an impressive uptune. Lyrics for "SLUMP" were inspired by fan's thoughts, expressing their frustrations and feelings of loss with hopes to cheer up the listener. "SLUMP" will be a live-limited release and will drop in March. L.A.LEMECCA's first live will be held on June 18 at Takadanobaba AREA, which is the same month as Kameleo's last live the previous year. In the meantime, HIKARU. will continue to hold his own events while distributing L.A.LEMECCA's CD. I want to take my time and go at my own pace. I want to sing for my fans. – HIKARU.